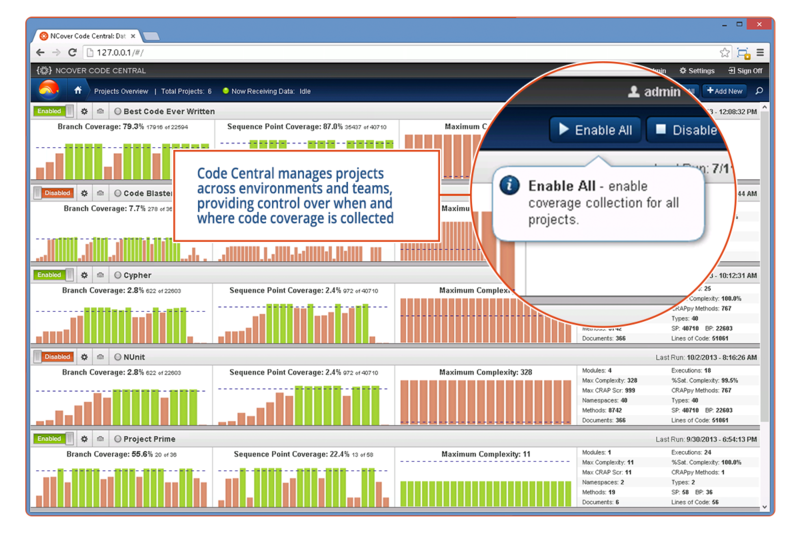 Code Central is the industry's only team-based .NET code coverage solution that enables you to quickly identify the metrics that matter. 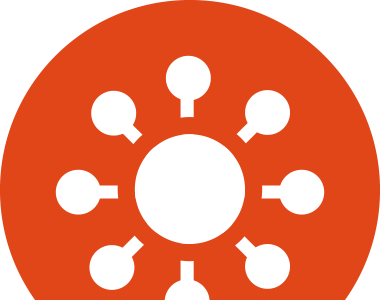 Collect coverage data, view project overviews at-a-glance, monitor team-wide trends, and drill down into the details when needed. 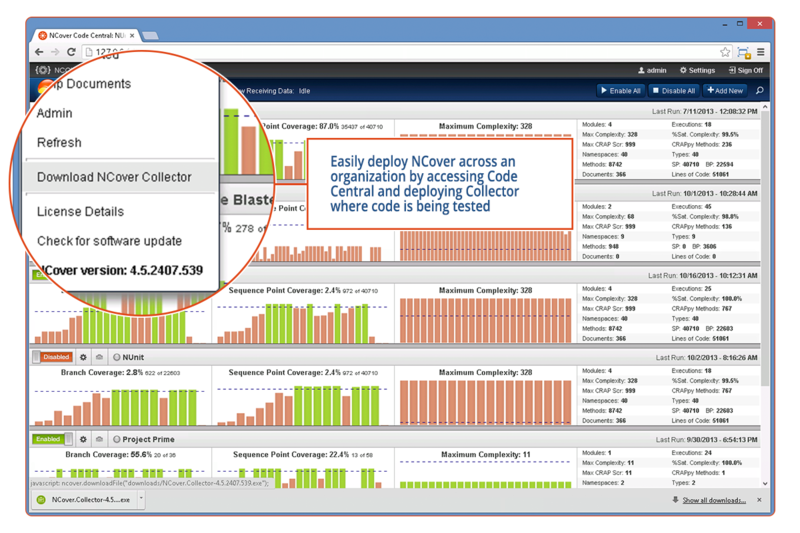 Easily deploy NCover across an organization by accessing Code Central and deploying Collector where code is being tested. 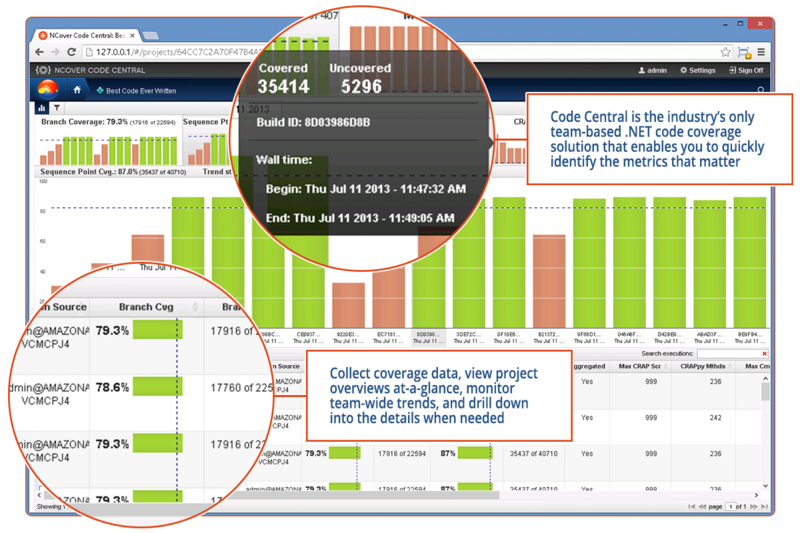 Code Central manages projects across environments and teams, providing control over when and where code coverage is collected. 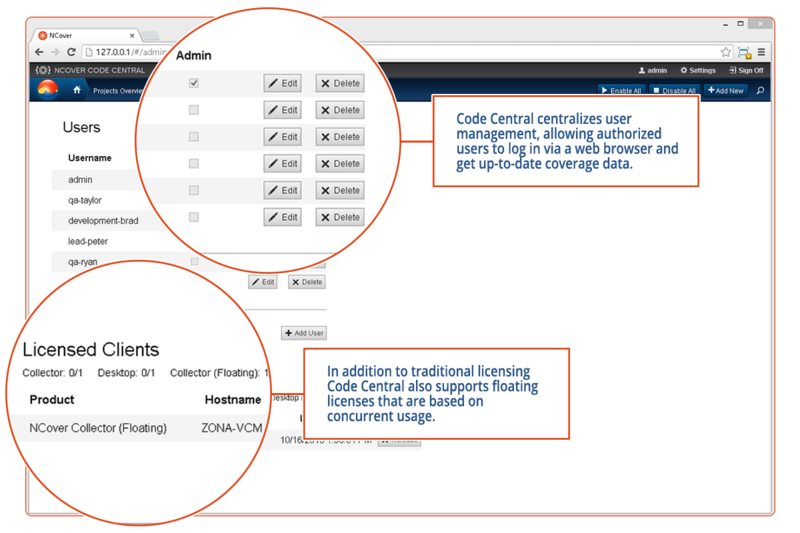 Code Central centralizes user management, allowing authorized users to log in via a web browser and get up-to-date coverage data. In addition to traditional licensing Code Central also supports floating licenses that are based on concurrent usage.